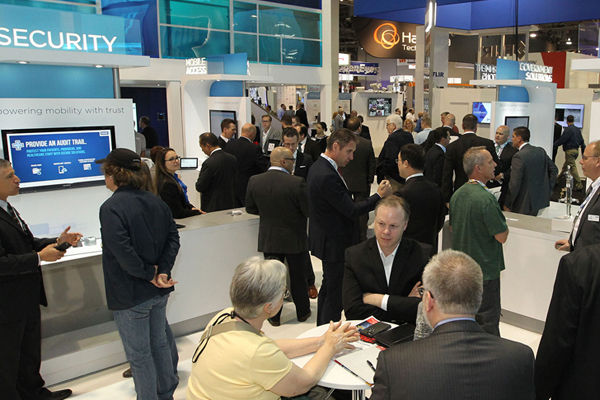 It’s considered the largest converged security industry trade show in the United States. Sponsored by the Security Industry Association (SIA), it’s the International Security Conference and Expo, also known as ISC West – and it’s just around the corner. The educational portion of the conference runs from April 9 – 11 and the exhibits are open from April 10-12. It all happens at the Sands Expo in Las Vegas. This year’s show is expected to have more than 1,000 exhibitors with 30,000 security professionals in attendance. This is where you will find the latest in security products and technology all in one place. Expect to see everything from access control, cameras and biometrics to drones and robots. It’s a fascinating show, but it’s also a lot to take in at one time. It can get overwhelming. We have a few suggestions on navigating the exhibit hall. Do your homework – Do as much research as you can during prior to the show. Read the security publications to see what they are previewing and study the list of exhibitors. Get organized – Once you know the companies and booths you want to visit study the exhibit floor map. Make it easier on yourself by planning out a route through the hall that will save you time and energy. ISC West also offers a free app that you can download to help keep you organized. Tag along with an integrator–Another way to make the most of the show is to tag along with an integrator like Ojo. Some of our team will be at the show. If you’d like to meet with us or get some more insights about the show contact us. Wear comfortable shoes – We’re only semi-joking. With so much to see in so many booths, along with all of the standing you’ll be doing, you’re going to need to keep your feet happy. This is not the time to break in new shoes or go for the four-inch fashion heels. Save those for another time. Have a great show and we hope to see you there!